Enjoy Colorado living at its very finest in established and desirable Township at Dakota! 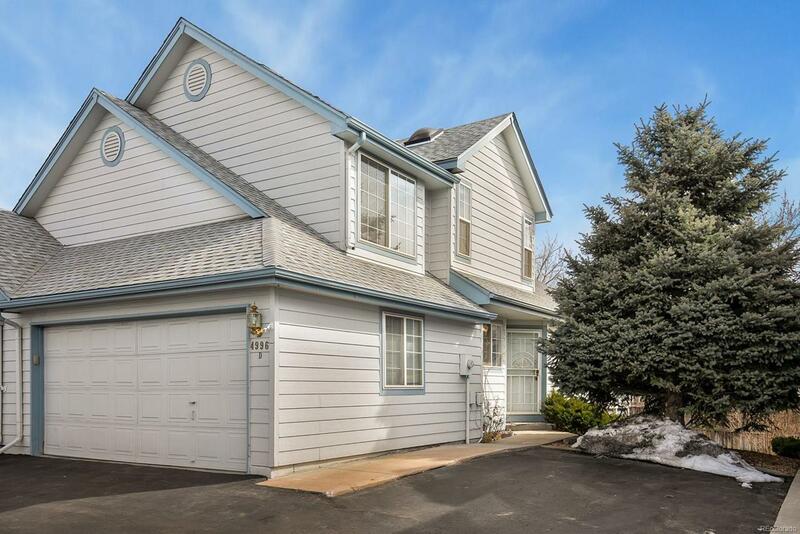 This well maintained end unit townhouse has it all including a lovely deck/balcony, rare attached 2 car garage, and soaring vaulted ceilings throughout nearly every room along with a bright and flowing open floor plan. 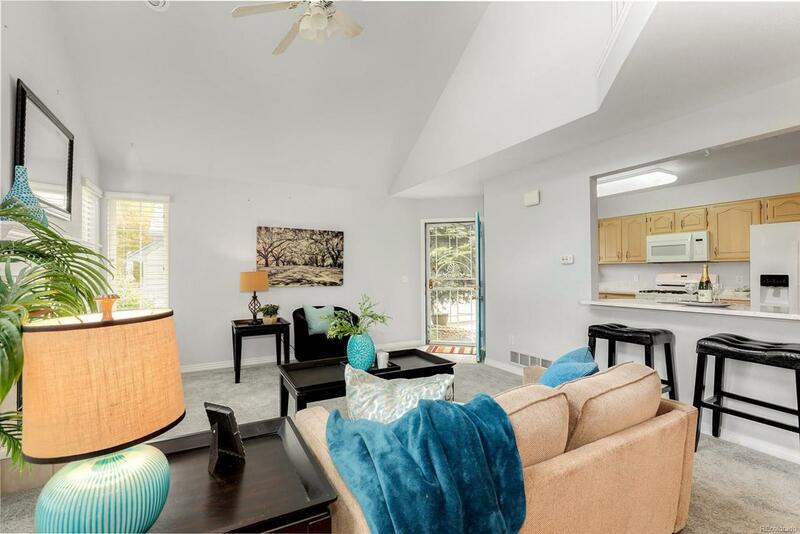 The main level boasts a cheerful kitchen complete with bar style seating and an abundance of cabinetry nicely transitioning into the open dining and living room areas. 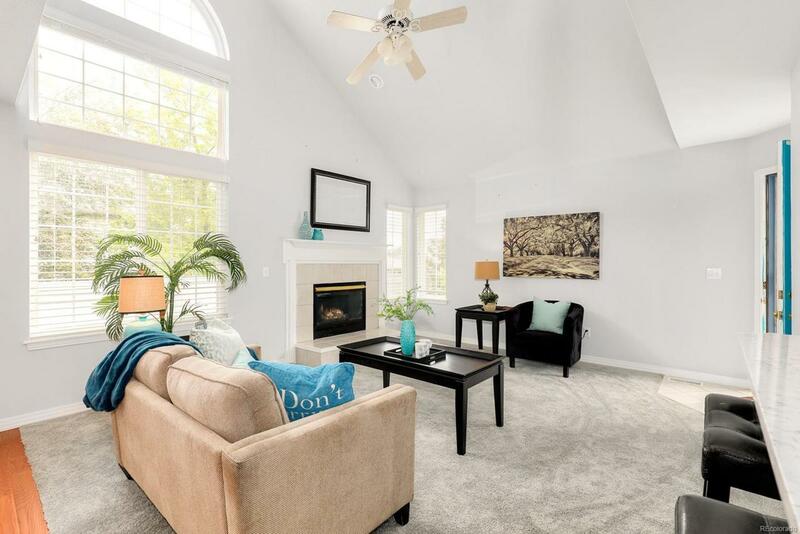 Soaring vaulted ceilings and large picture windows make the living room warm and welcoming, anchored by a stately gas fireplace. Upstairs the master suite offers an expansive flex area with endless potential making the perfect nursery or sitting area then completed with a large private en-suite bath along with a generously sized secondary bedroom and additional bath. The fully finished basement allows room to grow with a large rec area, bedroom, and another bath making this space perfect for a guest or teen suite.